This exhibition features a selection of works by Hasselblad Award winners, with a particular focus on portraiture. 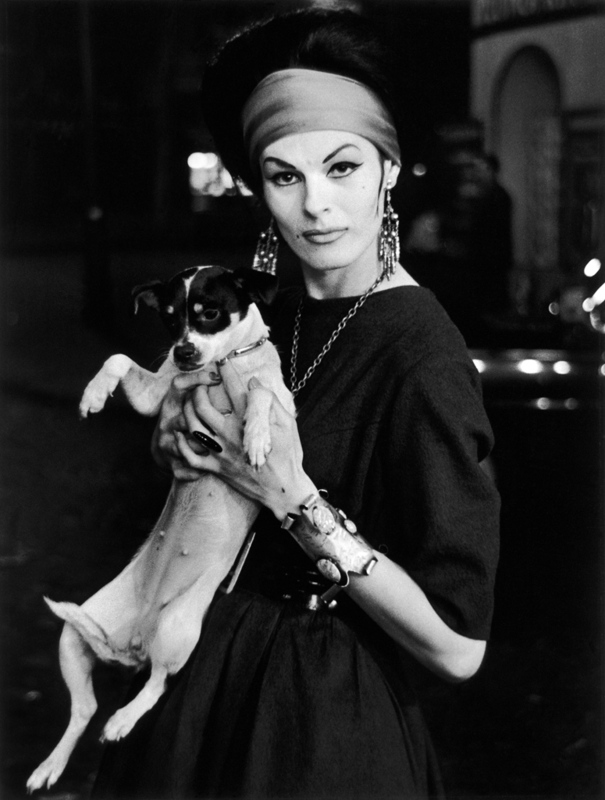 Seen from the eyes of seven photographers, with works from the late 1940s until 2014, the exhibition features seminal pieces by legendary photographers such as Irving Penn – and his portrayals of Salvador Dalí and Marcel Duchamp – or Richard Avedon, depicting the power elite of 1970s America. The exhibition also includes Avedon’s iconic fashion photograph Dovima with Elephants, Evening Dress by Dior, Cirque d’Hiver, Paris, August 1955. Malick Sidibé’s portrayals of youth culture in newly independent 1960s Mali are presented next to Christer Strömholm’s personal and engaging photographs of trans women in 1960s Paris. Nan Goldin’s revealing self-portraits meet Wolfgang Tillmans’s contemporary portraits of friends. Ishiuchi Miyako’s take on the genre offers portrayals of her mother and of victims of Hiroshima, by aiming the camera at their clothes and other personal belongings. The works in the exhibition – of these seven artists, spanning eight decades – are part of the Hasselblad Foundation collection. They reflect the history of portrait photography, as well as the diversity of the Hasselblad Award. The Hasselblad Award is an international photography prize – considered the most prestigious in the world. It was awarded for the first time in 1980 and has been presented annually since then. The award is granted to a photographer recognized for major achievements. Currently the award comprises the sum of 1 000 000 Swedish krona, a gold medal and a diploma. The Hasselblad Foundation was established in 1979 in accordance with the last will and testament of Erna and Victor Hasselblad. The couple founded the camera company Victor Hasselblad AB. The Hasselblad camera became world famous when it was used to document the first moon landing in 1969. The main aim of the foundation is to promote research and academic teaching in the natural sciences and photography. The goal is achieved through the granting of stipends, not least the Hasselblad Award, photographic research and exhibitions at the Hasselblad Center in Gothenburg, Sweden. This exhibition is produced by the Hasselblad Foundation and curated by Dragana Vujanovic Östlind. Organised on behalf of Reykjavík City Museum: Jóhanna Guðrún Árnadóttir.